This is actually a combo post. 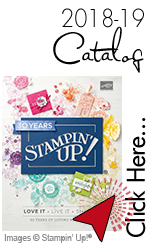 It also features the limited time Sky is the Limit set(for the sentiment) which is free with a $50 purchase during Sale a bration! Time is running out though, SAB ends March 31, 2016.I did this set two ways, the second one I really only changed placement of the sentiment. This is also a very versitile set for many different occasions. I would however highly recommend getting the thinlets that go with the set, because fussy cutting those flowers was certainly not my favorite thing today:/ I love this set because it reminds me of Hawaii, which was one of my all time favorite vacations, to which I hope to return one day. You can also get the DSP, which I did not use on these cards, but is truly equally gorgeous! Watermelon Wonder cut at 4 1/4″ by 5 1/2″ (base) and two more pieces, one 4″ by 2 1/2″, one 4 1/2″ by 1 3/4″ score at 1/2″(either end, does not matter, it will be tucked under the Whipser White base) and Whipser White pieces one, 4″ by 5 1/4″, one 3 3/4″ by 2 1/4″. So after stamping onto all the whipser white cardstocks , take the Watermelon Wonder piece with the 1/2″ scored end and add some adhesive of choice, attach it to the Whisper White about 1/2″ from the left side, then add dimensionals to the layered watermelon wonder/whipser white pieces , only on one side( the side you want to attach to the folded down edge) attach it sbout 3/4″ or midway down. This is a great card to make since it looks like many paper layers but there is really limited cutting involved and it is a layer not complicated cutting card.